While we wait for what *may* be a spectacular viewing of Comet ISON in late November of this year, Comet PANSTARRS will give us a potential teaser here next week! 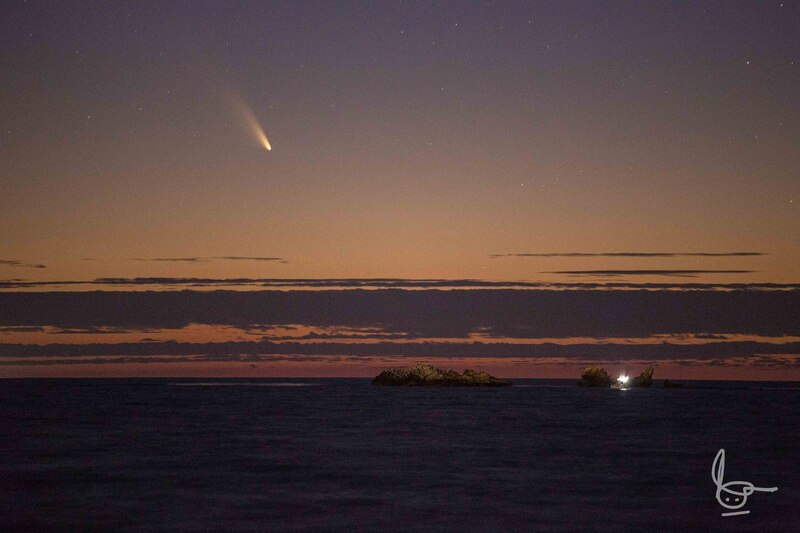 Comet PANSTARRS, named after the Panoramic Survey Telescope & Rapid Response System wide-field imaging system high atop Mount Haleakala on Maui, is currently visible in the Southern Hemisphere, and we in the northern half of the globe will see it very soon. We here in the US will have a few weeks of possible just-after-sunset viewing opportunities (details here, here, and here, among other places!). Comets are *VERY* unpredictable, visually, but this one is predicted to be about as bright as the stars of the Big Dipper – and perhaps better! Best viewing will be *west* of light pollution sources (i.e., cities!) and with a telescope or a simple pair of binoculars! We may get lucky, though, and have a VERY nice object, clearly visible to the naked eye. Since this comet will be very close to the Sun, you’ll be looking for it *JUST* after sunset, while the twilight sky makes it tougher to see – but as you adjust your eyes, we may get some good sightings! March 12/13 may be some really cool views, too, as the comet passes (visually) close to the crescent Moon. I’ll post whatever photos I take here, of course… please post what you see, too!